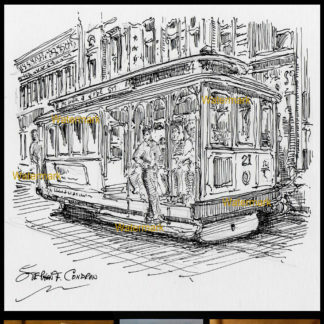 San Francisco trolley #168Y art and prints • Condren Galleries Ltd.
San Francisco trolley #168Y is a metropolitan cable car with JPEG & PDF scans and prints by artist Stephen F. Condren, BFA-SAIC, at Condren Galleries, a Fine Arts Gallery, which gives you low cost discount prices on all artwork, and is on sale now. 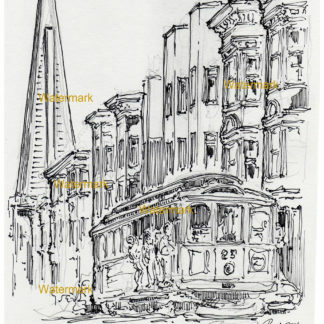 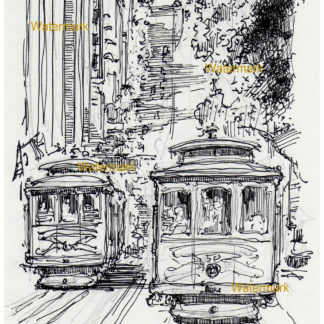 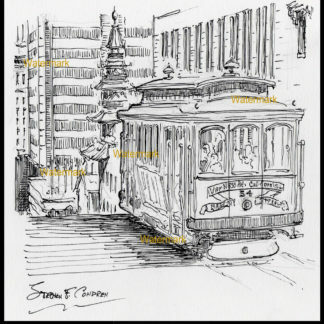 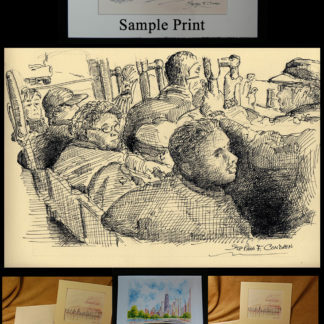 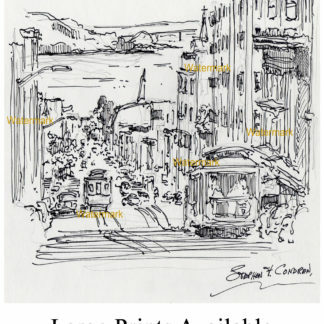 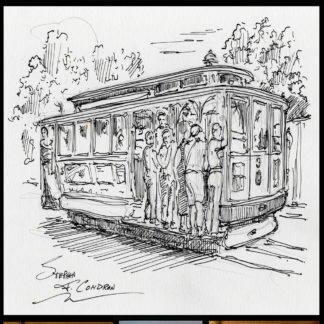 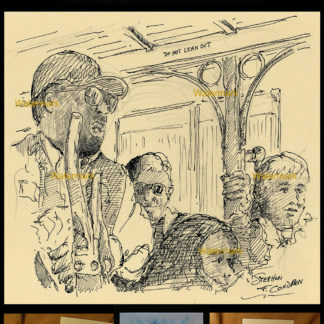 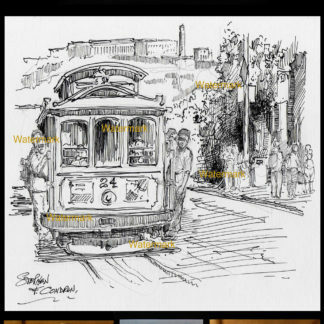 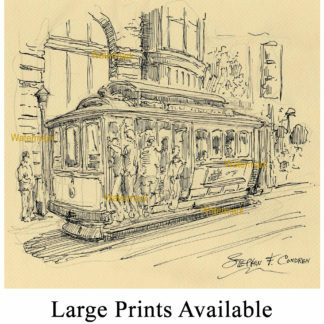 Because San Francisco trolley drawings are great, their prints are great! 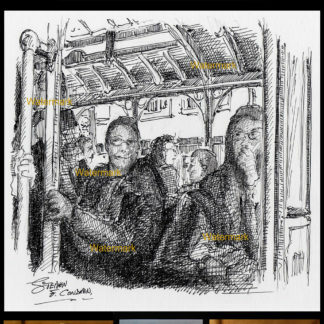 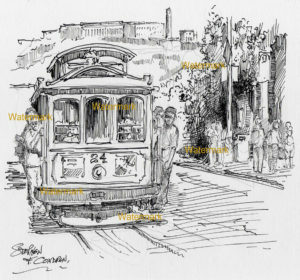 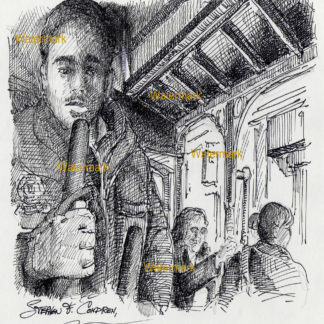 Pen & ink drawing of people riding on a trolley in San Francisco by artist Stephen F. Condren.